Hiya guys! I hope you're all having a fabulous mid-week. Spring is almost upon us... but here I am again catching up on swatching from when I was ill. Since all these polishes are super gorgeous I'm sure you won't mind seeing them. 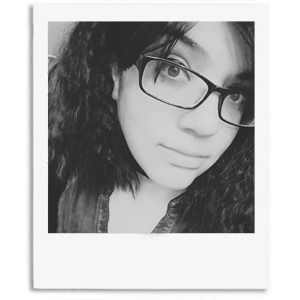 And if you don't have them already, maybe I can be your favorite enabler once again. Today I'm sharing swatches for the remaining shades in the Fall 2016 Urban Grunge Collection by Zoya. If you haven't seen my first post, then I suggest checking it out here to see swatches of the creams in this set. Without further ado, let's get to the swatches! The Urban Grunge Collection by Zoya is still available for purchase online. Each full-size bottle retails for $10 or you can grab the entire metallic half of the collection for $60. Troy can be described as a liquid pewter with a foil finish and an edgy touch of black and gold. This for me was definitely a color that had to grow on me to like it. It's a very unique shade to my collection, especially of the foil finish it has. Doesn't it make you feel so 90s grudge? Haha. Yeah my inner punk rock girl is digging this. The formula has a really opaque application, almost enough to be a one coater. You could honestly get away with a single coat, but I tend to have a light hand. It has minimal brush strokes in the finish, but most tend to blend out after topcoat. Shown in two coats and sealed with a glossy topcoat. Alicia can be described as a linear holo with a touch of gold. I'm not even going to try and lie about this or try to beat around the bush. The favorite alert is going off! Definitely have to give this one the Rose must-have stamp of approval! Not only is this shade gorgeous on its own, but also can serve as a topper. The formula has a sheer application, but builds up evenly for full coverage. It has such a smooth and easy consistency, perfectly balanced. Shown in three coats and sealed with a glossy topcoat. Britta can be described as a berry metallic with a red and purple fuchsia flash. Although it's a lovely shade, I think I was the most underwhelmed by it. The color just doesn't have a 'pop' factor like the others in this collection for me. The formula has a really opaque application and great consistency. Like Troy, this one can definitely be a one coater if you don't have a light hand during application. Despite its heavy pigmentation, I experienced no staining to my cuticles or nail bed. Shown in two coats and sealed with a glossy topcoat. Finley can be described as a deep royal purple scattered holo. 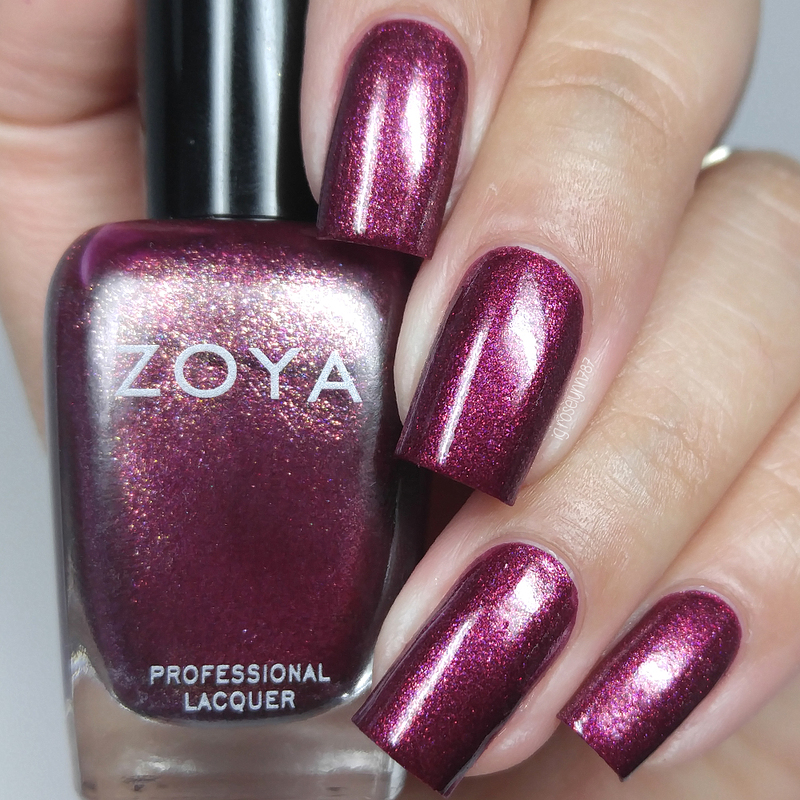 Another favorite of mine, this purple shade is so gorgeous and vivid. The formula has a sheer application, but it builds up evenly on the nail. I found the consistency to be a little on the thin side, although not enough to be considered runny. Shown in two coats and sealed with a glossy topcoat. 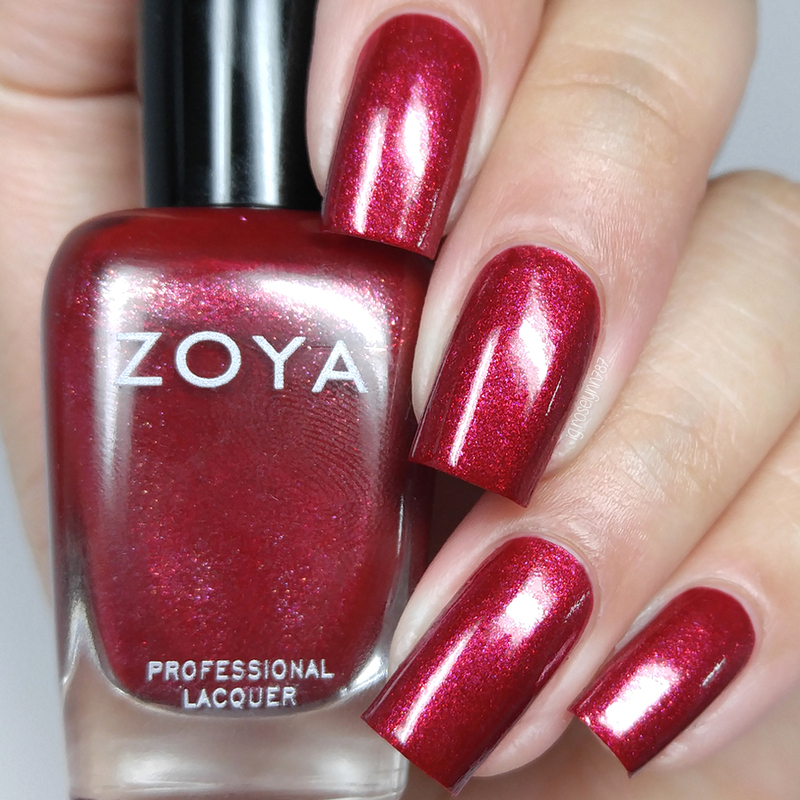 Ash can be described as a vibrant cherry with a red and gold metallic shimmer. This is probably the sexist red I have ever had in my collection... and I'm seven helmers deep so that says quite a bit. The shimmer laced in the finish simply just makes this pop in so many ways. So fabulous! The formula has a sheer application, but builds-up opacity really well. Like the others in this collection, the consistency has a really nice balance. I experienced some minimal staining on removal to my cuticles and nail bed. It wasn't terrible, but it did happen through a base coat so I would just be cautious. Shown in two coats and sealed with a glossy topcoat. Merida can be described as a brilliant lush evergreen scattered holo. The formula, like many of the others here, has a very opaque application. Smooth and easy to work with, the consistency has a nice balance. I was a little nervous about staining, but thankfully this beauty is not a stainer whatsoever. Shown in two coats and sealed with a glossy topcoat. Overall I think the scattered holos in this collection are by far my favorites. I hope in the future we can see a full collection of just holos... even though I don't feel they fit the standard holographic definition a lot of us indie fans are used to. I can just imagine it now though, a summer collection of scattered holos in bright (not neon though) shades. Zoya get on that please! 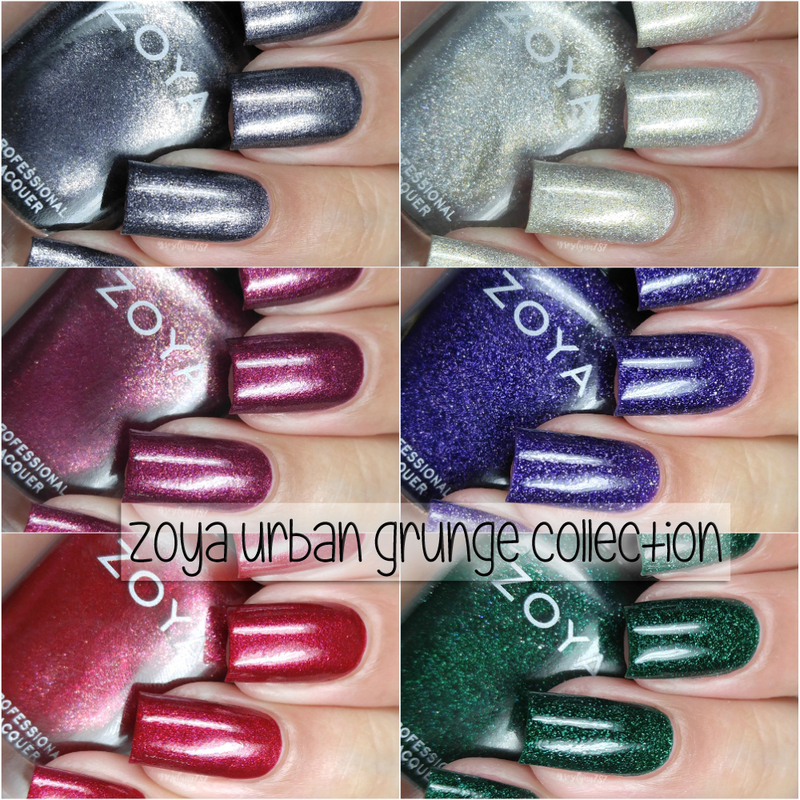 To recap, the Urban Grunge Collection by Zoya is still available for purchase online. Each full-size bottle retails for $10 or you can grab the entire metallic half of the collection for $60. Very pretty Fall shades but the green shade will be perfect for St. Patty's or designing fun Easter nails! Yesss! This collection is beautiful! Alicia and Britta would be so popular here. My oldest girl would love the sparkle and the holographic kind of effect happening on the Alicia. I loooove Alicia on you! I got Merida during their black friday sale, I couldn't resist!